This one will probably move fast! 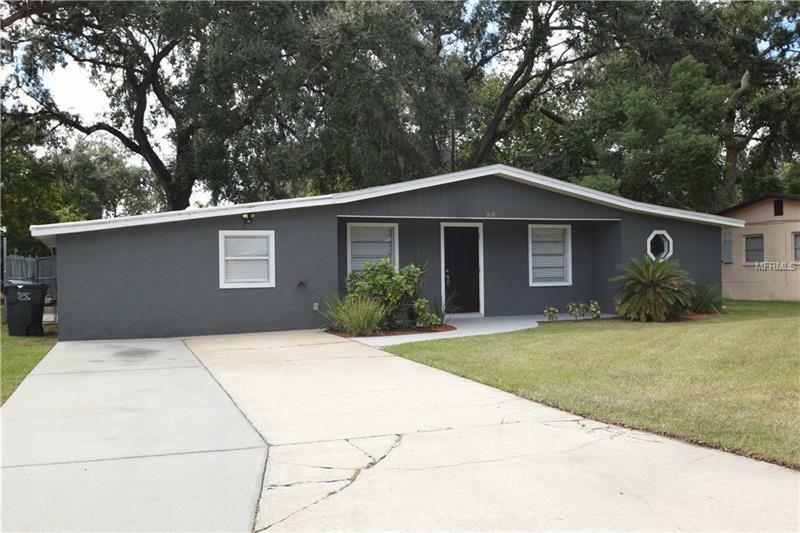 This is a super charming 3 bedroom, 1-1/2 bathroom home located near New Jersey Road and Edgewood Drive in central Lakeland, close to shopping, schools and transportation. This solid, concrete home was just renovated and has a NEW ROOF (2017), NEW CENTRAL AC SYSTEM (2018), has been Freshly Painted, has New ELEGANT VINYL PLANK FLOORING, New STAINLESS STEEL APPLIANCES, new ceiling fans, and more. Your new home has a spacious living room, a large 19 x 11 bonus room, and a second bonus room that could be used as an office. Your new back yard is all fenced in and includes a shed. There is a concrete patio perfect to fire the grill and relax on your favorite chair. Call today to schedule a private viewing of this awesome home, located in a family friendly neighborhood close to everything you need!